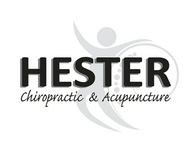 We value our patients' experience at Hester Chiropractic & Acupuncture Inc.. If you are currently a patient, please feel free to complete the following Client Experience Questionnaire. The Questionnaire is in Adobe Acrobat format, and requires the free Acrobat Reader to view. "I was very impressed with the chiropractic care I received from Dr. Hester. I had received chiropractic in the past for my neck pain, but not to this level of care. After only a few sessions, my symptoms began to disappear, especially my neck pain, and I know I would not have been able to perform to my everyday work functions without the treatment I received." "As a court reporter, using my hands to type on a daily basis is a requirement. The work is speedy and can often last for hours at a time. Several months ago, every movement I made became excruciatingly painful. I started seeing Dr. Hester and got started on a program that helped right away. The doctor stressed the importance of my posture and proper hand and arm placement." "I have benefited tremendously from the chiropractic care I received from Dr. Hester. Not only has the adjustments helped alleviate my stiffness and aches, but it has helped me have more energy and just feel more balanced over all. A few months ago, I was able to resume a favorite hobby of mine - golf. Due to my previous pain, I never thought that’d be possible." "Dr. Hester has allowed me to be headache free for quite some time now. I used to have daily nagging headaches that often would turn into a migraine leaving me unable to function. For the longest time, I thought I could just keep taking medication to have the pain subside." "It's been 7 months since I got wiped out by a monster wave. I sought treatment at the hospital and they took x-rays and said everything seemed normal, that I would just have some pain for a few days. A few days actually turned into several weeks, so at the suggestion of my girlfriend, I went to see Dr. Hester and was feeling better in no time!"